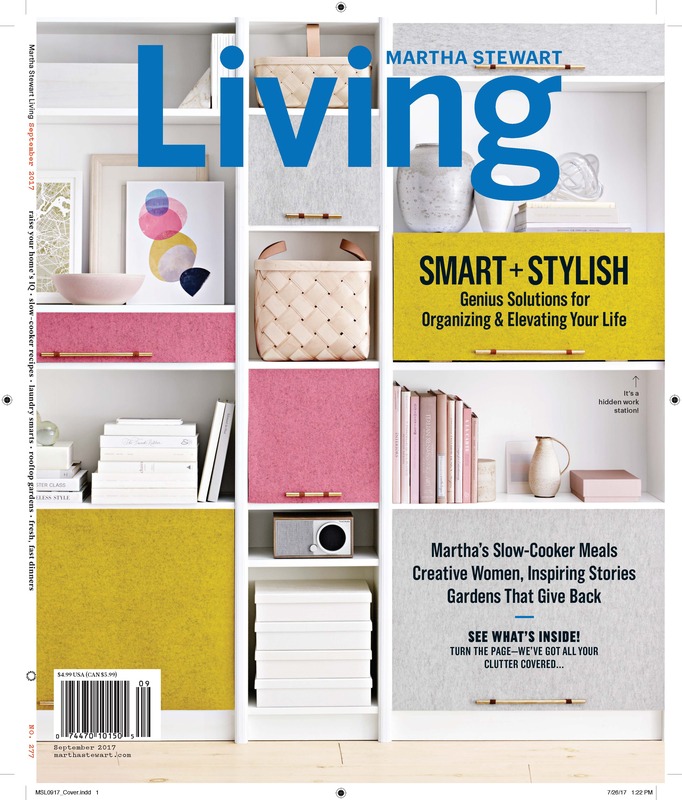 From Eating Well to Allrecipes, Martha Stewart Living to Better Homes and Gardens; and more recently, Chip and Joanna Gaines’ The Magnolia Journal, Meredith has been serving their readers with great content for 115 years. And of course, with many, many titles in between. 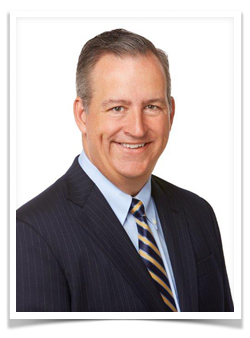 Tom Harty is president and chief operating officer of the company, and under his leadership has played a key role in the development and execution of Meredith’s strategic initiatives, helping Meredith increase its connection to the American consumer through growth in magazine audience, online traffic, brand licensing and marketing services. Tom’s career in magazines and magazine media is rich with experience, having been senior vice president, general manager for The Golf Digest Companies, a division of Advance Magazines. His broad media company experience includes key leadership positions with TV Guide, where he served as vice president and publisher; and Reader’s Digest, where he was advertising director. So, Tom knows a thing or two about magazines. I spoke with Tom recently and we talked about his strategic vision for the company. Tom’s plans include continuing to gear great content toward women and to give them that content in whatever way they want to consume it, from the legacy print format to all of their new digital products. He said the demand for print from the consumer was still very strong; and of course, one shining example of that is Better Homes and Gardens, which is still living up to its 7.6 million copy circulation that it had 20 years ago. And from organic growth to acquisitions, Tom is committed to continuing the robust present and very bright future that Meredith works very hard to maintain. So, I hope that you enjoy this interesting and informative conversation with a man who uses his vast experience to propel Meredith forward in both print and digital, and strives to expand the company’s vision even more, the Mr. Magazine™ interview with Tom Harty, president and chief operating officer, Meredith. On his strategic vision for Meredith in today’s 21st century: It really hasn’t changed from what we’ve done in the past. We create great content that’s geared toward American women, and we’ve been doing that for 115 years. And that’s our strategic vision. I think that what we want to do as we change is create that content however she wants to consume it, so obviously that is both in a legacy print format and in all of our new digital formats. On how he strikes a balance between Meredith’s digital approach and the reality of print today: What we’re seeing is the demand for print products from consumers is still very strong. We like to say that 20 years ago we printed 7.6 million copies of Better Homes and Gardens each month, and today we print 7.6 million copies per month too. And not a lot has changed from that perspective. 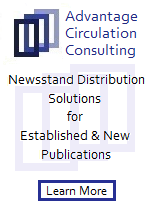 About 90 percent of our circulation is subscription versus newsstand, so as the newsstand troubles have been going on out there, we’ve been less affected by that. Consumers and women still love the printed format to turn to for inspiration and for more of that lean-back experience. And what we look for more with digital is as a utility to help them to do something in the short-term. On whether they’re looking for a new strategic model when it comes to digital advertising that isn’t similar to the print model: From an advertising perspective, where we’ve been having success digitally is that we have some proprietary products digitally that are digital-ad products. A company called Selectable Media a few years ago, that enables us to gate content, where you might have to watch a video to completion to get our content. So, we’re asking the consumer to do something. On how he shows his love, or tough love, to both his legacy magazine brands and those products that were already brands before they joined the Meredith team: That’s a good question, and I think it’s a good point. We’re always evaluating where we’re putting our resources for growth. That’s the struggle that people at the top of the house of media companies have to make, and have been making for long periods of time. You can’t treat every single brand, or child, as you put it, always equally. That’s not to say that this doesn’t change all of the time. On what he hopes to accomplish one year from now: I think you’re going to see us continue to make organic investments, especially in our digital products into next year. We’re also on the acquisition trail, and we’re looking for both organic growth, where we’re making investments in growing organically in the brands and the product lines that we have, and we’re also looking at opportunities to grow our business through acquisitions. And that could be print products, digital products, or broadcast products on the other side of the business. On a Rolling Stone acquisition: I wouldn’t say that Rolling Stone would fit our current strategy, that’s what I would comment. It’s a great brand, it’s been around for a long period of time, but it probably would not fit our strategy to look at that brand. On whether he thinks the recent partnerships many publishers have made with celebrity brands is a new business model or one that began in the ‘80s with Martha Stewart and Time Inc.: I wouldn’t say that it’s a new business model. When Martha, or whoever, starts things from scratch, they’re looking to find the experts that are out there to help them. So, I think there’s an opportunity maybe to do some more of these types of things. On whether he thinks the future for magazines is a more targeted approach, or there is still a desire from consumers for large, mass magazines like Better Homes and Gardens: I think that there’s a place for some of these large-scale magazines to still exist. I see the demand for Better Homes and Gardens and it’s astonishing. But it really strikes at a strong brand; it strikes at consumers who are looking for that type of content on a broad scale. So, it exists. I don’t know if we’ll ever see a magazine from scratch reach that kind of scale again, I just don’t know. That’s a good question, if there will ever be new brands that will come out and do that. On the question someone asked him once when he was publisher of TV Guide on why he provided the TV listings free online: When I was the publisher at TV Guide and I was getting the furnace replaced in my old house that I’d bought, and the oil sales guy asked me if I was the publisher of TV Guide, why was I giving the TV listings online for free. That was a moment in time. I’ll never forget that; it was a very strategic question. And at the time, I don’t think we had the answer. On whether he believes they have the answer now: The utility has changed for a magazine. I think that was more of a technology change. I think the utility of finding what’s on television has changed, and I believe that was something that TV Guide saw coming, but yes, I think we have the answer now. On what he would have tattooed upon his brain that would be there forever and no one could ever forget about him: When I think about people that I’ve worked with and what they will think about Tom Harty, I believe that it would be that he was a decisive, fair leader during a time in the media business of great disruption. That’s what I think about myself. That I make decisive decisions and I’m very fair about it in my leadership style. And I think that’s what people would say about Tom Harty. On what someone would find him doing if they showed up unexpectedly one evening at his home: You’d probably find me winding down with my wife and I in the kitchen preparing dinner, and doing it together. And me doing all of the cleanup, just helping her out and enjoying a nice evening together. On what keeps him up at night: What keeps me up at night is what’s kept a lot of people up at night and that is, as this business goes through tremendous transformation and change, what are the new things technology-wise or competition-wise that I’m not thinking about? That’s what keeps me up at night. You can address the things that you know about, but it’s harder to address the unknown. And now the lightly edited transcript of the Mr. Magazine™ interview with Tom Harty, president and chief operating officer, Meredith. Samir Husni: Congratulations on the many successes that Meredith has been having with its magazines this year. I see from your bio that Meredith gives you much credit for your leadership when it comes to those successes and your strategic vision for the company. Can you tell me about that strategic vision you have for Meredith today, in the 21st century? Tom Harty: It really hasn’t changed from what we’ve done in the past. We create great content that’s geared toward American women, and we’ve been doing that for 115 years. And that’s our strategic vision. I think that what we want to do as we change is create that content however she wants to consume it, so obviously that is both in a legacy print format and in all of our new digital formats. I always like to tell people, it’s not one or the other, it’s combined for us, so we continue to focus on our great heritage of print products, which women still enjoy thoroughly. And we’re also focused on the new, emerging digital properties and digital utilities that we can format for her going into the future. Samir Husni: You’re still investing a lot in print. This year alone we’ve seen the reengineering or refreshing of Parents, Martha Stewart Living, Family Circle, and Better Homes and Gardens. And you’re moving forward with digital as well. How do you strike that balance between the digital approach you’re taking and the reality of print today in this digital age? Tom Harty: What we’re seeing is the demand for print products from consumers is still very strong. We like to say that 20 years ago we printed 7.6 million copies of Better Homes and Gardens each month, and today we print 7.6 million copies per month too. And not a lot has changed from that perspective. About 90 percent of our circulation is subscription versus newsstand, so as the newsstand troubles have been going on out there, we’ve been less affected by that. Consumers and women still love the printed format to turn to for inspiration and for more of that lean-back experience. And what we look for more with digital is as a utility to help them to do something in the short-term. So, inspiration versus utility, as I like to say. But to your point, the headwinds that we’ve been facing are that advertisers have a lot more places to spend their money and there are a lot more impressions being created out there in digital and mobile. That’s the issue that we’re facing. At Meredith, we don’t see a tremendous consumer issue, when it comes to demand for our magazines. We have an advertiser issue that we’ve been facing, and we’ve been planning for that and figuring out ways to grow around that. And we’ve talked about this years ago; when we launched Allrecipes Magazine, I don’t think there were too many people out there who thought it would be successful, taking a digital-only brand that was started online as allrecipes.com, where it’s user-generated content that we obviously give back to consumers online, and give them that utility of finding a recipe that they’re looking for. But we also felt like when you type into a Google box or a Google search, and you’re specifically looking for chicken dinners or chicken tacos, or swordfish, you know what you’re looking for, at least to start. You’re looking for a recipe around something, but there’s still an inspirational part of curation that our editors can form. So, we started Allrecipes Magazine, where we could curate all of that great content that we have in the back of the database online and bring it forward to inspire. Now, you have an extremely successful magazine built out from a digital-only brand. A year ago, one of the most exciting things that I’ve seen in my 30+ years in the business is the Magnolia Journal. 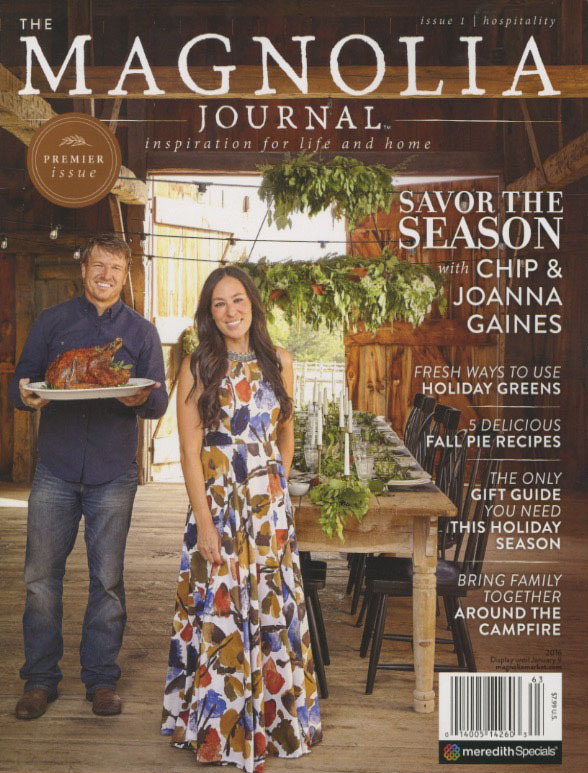 We had the opportunity to have a discussion with Chip and Joanna Gaines, of the “Fixer Upper” and the Magnolia brand, and in 60 days we put out a newsstand-only test and when it came back, we had to go back to press in the first week and double the print run. We sold over 75 percent of the copies in a short period of time at $10 a pop. And that’s when we knew we had a runaway success, and now we’re selling subscriptions and now we’re going to have a one million circulation magazine in less than 12 months. It’s the most profitable magazine launch in the history of the company in 115 years. So, there’s a great print product, great brand, great editors working with that celebrity to put together a product that consumers would react to and you can’t argue with the success and demand for that print product. You asked about the balance; we’re not giving up on the print products because the utility of print is still in demand from consumers. But at the same time we’re building out a digital business that creates a great utility in finding tools to help consumers do that also. Samir Husni: Recently, I heard that the chief brand officer at P&G said that the average digital ad viewing is 1.7 seconds, and he’s challenging the industry to find another way for digital advertising. As you develop your digital footprint, are you also trying to find a new, strategic model that isn’t similar to the print model? Tom Harty: From an advertising perspective, where we’ve been having success digitally is that we have some proprietary products digitally that are digital-ad products. A company called Selectable Media a few years ago, that enables us to gate content, where you might have to watch a video to completion to get our content. So, we’re asking the consumer to do something. And we’re able to take our proprietary data and overlay that with other things. We bought a company called Couponix that enables us to target at retail prices, because half of our traffic for allrecipes happens in retail stores, as people are searching for recipes. So, we’re building out proprietary ad products that give advertisers more value. I think some advertisers are questioning some of the traditional banner advertising; were they getting the best bang for their buck. So, as we aggregate these great audiences and give them this utility to get at our content, how can we really engage these advertisers in that conversation, where they can get a return for the dollars they’re investing in that. The digital industry is still always evolving and looking for the right mix of , where it’s not interfering with the user experience, but getting those advertisers’ messages across. I’ve been in this business for a long time, whenever we did unaided research with editors and our subscribers over the years, we’d do focus groups, and this goes back 25 years ago. I used to sit through these and the editors would be behind the glass and the readers would be on the other side, and the facilitator would pass out the magazines and they’d tell the readers to point out the editorial that they really loved, and it used to drive the editors crazy, because they used to point at advertising. The advertising was part of the experience. That is a great part of the form factor of print for advertising. And I think digital is still making strides to get that same connection with consumers, where it’s not interfering with their experience. Samir Husni: I feel like you may be the father of too many children, and some of them are very well known children, such as Martha Stewart Living, Rachael Ray, and the Gaines couple. How do you show your love, or your tough love, to legacy brands, like Better Homes and Gardens, Parents; and then all of these brands that stand on their own? Tom Harty: That’s a good question, and I think it’s a good point. We’re always evaluating where we’re putting our resources for growth. That’s the struggle that people at the top of the house of media companies have to make, and have been making for long periods of time. You can’t treat every single brand, or child, as you put it, always equally. That’s not to say that this doesn’t change all of the time. We’ve been able to build out a great brand portfolio in recent years, and made some great additions like, as you mentioned, Martha Stewart, Shape, Racheal Ray, and Eating Well. We’ve been able to take advantage of the efficiencies of Meredith, from being what we think is one of the best, if not the best, operators in the business, and take advantage of the efficiencies of a bigger media company with our back office based in Des Moines, Iowa. But we can also allocate some of those savings, as you would call it, being part of a bigger company, where they’re independent on their own, and reinvest in the brand. So, it’s always a battle, but we always have to keep an eye on where we think we can get the best return for our investment and for our shareholders in the future. We’re constantly waging that kind of allocation battle. You’ve known in the past where we’ve made tougher decisions on brands like Ladies’ Home Journal or More, or we combined Fitness with Shape, where we make a bigger bet on what we think is a different way to allocate it, and stop allocating to certain brands. It’s not an easy decision to make, but we’ve made that in the past. Samir Husni: When we look at the Meredith portfolio today, under your leadership, if you and I are speaking one year from now, what would you hope to tell me that you had accomplished in 2017? Tom Harty: I think you’re going to see us continue to make organic investments, especially in our digital products into next year. We’re also on the acquisition trail, and we’re looking for both organic growth, where we’re making investments in growing organically in the brands and the product lines that we have, and we’re also looking at opportunities to grow our business through acquisitions. And that could be print products, digital products, or broadcast products on the other side of the business. There are a number of things that we’re constantly looking at, so we’re not shying away from any area, but I always say that it has to, number one, fit our strategy for an acquisition, and then it has to be for sale; you have to have a seller that actually wants to sell something, and it has to be the right price. There’s a sifter that we put things through. 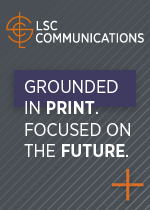 I think that throughout the industry, from print to digital to broadcast, all are ripe for consolidation, and as Meredith has stated, we’re going to be a consolidator, and you’ve seen us look at that and do that over the last few years. And we’re going to continue to do that, while at the same time, making investments in our core organic business. Samir Husni: Without going into what’s up for sale now, can you rule out a Rolling Stone purchase? Tom Harty: I wouldn’t say that Rolling Stone would fit our current strategy, that’s what I would comment. It’s a great brand, it’s been around for a long period of time, but it probably would not fit our strategy to look at that brand. That’s not to say that we wouldn’t look at making investments in men’s brands. If you look at our portfolio, we’re more dominant on the women’s side of the business. I think the current number is we reach 112 million women in the United States on a monthly basis. I believe there’s somewhere around 1,920 million adult women in the U.S., so we’re fast approaching a saturation of how we reach women. So, we might look at more men-focused titles in the future. Samir Husni: When you look at that portfolio and everything you’ve done so far, do you think that with Meredith, Hearst, and recently, Condé Nast, starting partnerships, such as Meredith and the Gaines couple, Hearst and The Pioneer Woman and Dr. Oz; do you think that’s a reinvention of a business model, or is it something that Martha Stewart actually introduced in the 1980s with Time Inc.? Tom Harty: I wouldn’t say that it’s a new business model. When Martha, or whoever, starts things from scratch, they’re looking to find the experts that are out there to help them. So, I think there’s an opportunity maybe to do some more of these types of things. It’s us and Hearst that’s kind of really active in that. We did something with Condé Nast with House & Garden. We’re able to produce content very efficiently and House & Garden is a brand that we think is fantastic, and so does Condé Nast. They decided to stop the print brand, and we’ve come back with it and have our second issue on the newsstand, and it’s been successful. So, there are always models that we’re looking at, even helping each other. Here we are working with Condé Nast on a licensing and profitability share for House & Garden. So, it’s not a new concept, but I think in this day and age launching a magazine for an independent celebrity or independent company, is more difficult. It makes it much more efficient for a bigger media company to help them do that. Samir Husni: In your career, you’ve worked at three of the largest magazines in this country: TV Guide, Reader’s Digest, and Better Homes and Gardens. So, you’ve seen the huge magazines and their huge circulations. And you just shared that Better Homes and Gardens is still the largest, non-membership magazine in this country. But do you think the future for magazines is a more targeted approach, or is there still a desire from consumers for these large, mass magazines? Tom Harty: I think that there’s a place for some of these large-scale magazines to still exist. I see the demand for Better Homes and Gardens and it’s astonishing. But it really strikes at a strong brand; it strikes at consumers who are looking for that type of content on a broad scale. So, it exists. I don’t know if we’ll ever see a magazine from scratch reach that kind of scale again, I just don’t know. That’s a good question, if there will ever be new brands that will come out and do that. I don’t know if the Magnolia brand will ever reach that kind of scale; I’m just not sure. Samir Husni: I remember meeting you once and you told me a story about your furnace in the basement of your home and the guy who came to fix it. I think at the time the story took place you were at TV Guide. Do you remember that? Tom Harty: You’re exactly right. I used that example of when I was the publisher at TV Guide and I was getting the furnace replaced in my old house that I’d bought, and the oil sales guy asked me if I was the publisher of TV Guide, why was I giving the TV listings online for free. That was a moment in time. I’ll never forget that; it was a very strategic question. And at the time, I don’t think we had the answer. Samir Husni: Do you have the answer now? Tom Harty: The utility has changed for a magazine. I think that was more of a technology change. I think the utility of finding what’s on television has changed, and I believe that was something that TV Guide saw coming, but yes, I think we have the answer now. Tom Harty: That’s a good question. When I think about people that I’ve worked with and what they will think about Tom Harty, I believe that it would be that he was a decisive, fair leader during a time in the media business of great disruption. That’s what I think about myself. That I make decisive decisions and I’m very fair about it in my leadership style. And I think that’s what people would say about Tom Harty. Tom Harty: You’d probably find me winding down with my wife and I in the kitchen preparing dinner, and doing it together. And me doing all of the cleanup, just helping her out and enjoying a nice evening together. 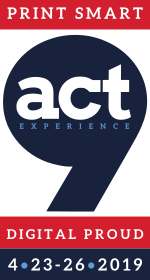 Tom Harty: What keeps me up at night is what’s kept a lot of people up at night and that is, as this business goes through tremendous transformation and change, what are the new things technology-wise or competition-wise that I’m not thinking about? That’s what keeps me up at night. You can address the things that you know about, but it’s harder to address the unknown. And that’s what keeps me staring at the ceiling at night, the things that I’m missing.